The Budget 2012 brought about an instant increase (what shopkeeper was going to wait until 6pm?!) of 37p on a packet of 20 cigarettes, bringing them up to an average price of a whopping £8 a packet, unbelievable! By the time you’ve bought them, some mints and the paper there’s not much change out of a tenner is there?! 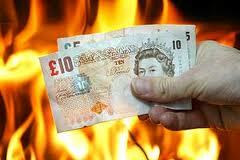 Can you afford to lose a tenner a day, to literally go up in smoke? You promise yourself, right I’m going to Stop Smoking once and for all!! All smokers need some sort of motivation to finally quit for good. For you it may be one of the above or something similar, we haven’t even begun to look at the Health reasons yet and they tend to be the last reason to quit. It could be that you simply cannot afford to smoke any more. If you smoke 20 a day, you could be spending up to £225 a month on cigarettes. Thats £2,700 a year! What ever salary you’re on, that’s a huge chunk of it! Just think what you could do with all that money, a fantastic luxury holiday, home improvements, a super shopping trip, upgrade your car. . . What would you do with £2,700? Do you choose to set it alight and burn it away? We’re all about saving money, 5p on a litre of fuel so you make sure you go to that Supermarket when the offer is on, or 3 for 2, yes please! We go to great lengths to save pennies yet think nothing of wasting thousands of pounds a year on something that does no good for us whatsoever. Hypnotherapy for stopping smoking is one of the most successful ways to quit smoking for good in Leicester. Quick, easy and it does what it says on the tin. You come in a smoker, you leave a non smoker. 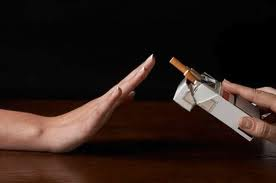 ‘Does it really work?’ Is often asked, Yes it does, if you are 100% ready and committed to giving up smoking, hypnosis to stop smoking can work for you. If my lady who has been smoking for 60 years can stop – she started smoking when she was 14 years old in the days when it was thought smoking did you good! So can you. Call me freephone 0800 612 8159 or email leicstherapy@gmail.com to see how I can help you stop smoking quickly, easily and all in one session. The rate for Smoking Cessation hypnotherapy in Leicester is £195, less than what you spend in one month alone on cigarettes. Stop Smoking Leicester is committed to helping you reach your goals, call now for a friendly non committal chat if you would like to find out more. Never too late to give up smoking – even after 60 years! I’m so pleased that my good friend and client has sucessfully given up smoking, she had been smoking for 60 years! She started smoking when she was 14 years old, in those days she tells me that smoking was considered highly sophisticated for women and even good for you, completely different to what we now know. Unbelievably, all it took was one session of Hypnosis to kick the smoking habit for good. Quitting smoking is easy with Hypnotherapy, and when you see the drastic improvements to your life and health you’ll wish you did it sooner. The damage that smoking causes to your body is horrible, and your secondhand smoke can also cause problems for everybody else too. Within the first 24 hours of stopping smoking your body will have already began to heal itself and you will be completely nicotine free in 3 days. If you’d like to kick the habit, please get in touch to see how quickly and easily you can give up smoking once and for all. Hypnotherapy has the most success rate of all other methods in quitting smoking, lets make that change together.